If you want to witness archeology in action you aren’t limited to watching Indiana Jones; you can be a part of it right on BYU’s campus at the Museum of Peoples and Cultures. See for yourself the math, science, and technology used to reveal the past in the Museum’s new exhibit Envision: Innovative Exploration in Archaeology. Opening on Monday September 11, 2017 with a reception from 6:30-8:30 pm, individuals will be able to interact with technologies like the solar-powered supply trailer used in excavations and thermal imaging cameras, as well as learn about modern research methods. Visitors can complete circuits using a solar panel and simulate separating contaminants from DNA fragments. Families and individuals will see how STEM plays a part in archaeological exploration and innovation. “We anticipate exhibition visitors will come to envision archaeology in new ways as they learn about the innovative trends in this field” said Brianna Selph, MPC Guest Services Assistant. Museum staff hope that all visitors will, through their interaction with the exhibit, come away equipped with the knowledge and tools to make connections between archaeology, STEM fields, and their own lives. 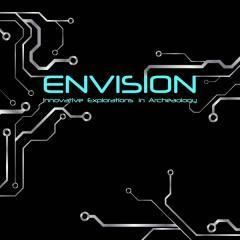 The Museum of Peoples and Cultures’ Mission is to “inspir[e] students to life-long learning.” Learn, experience, and understand archeology on a new level at Envision: Innovative Explorations in Archaeology, open September 11, 2017. This exhibit will provide ample hands-on experience to individuals looking to make connections between themselves, science, and the ancient peoples and cultures we continue to learn more about every day. The exhibit, which will run until February 2018, is free to the public. For more information about the exhibition or reception, visit mpc.byu.edu.